…Obviously. In particular, it seems that Knowledge Navigator has finally arrived. 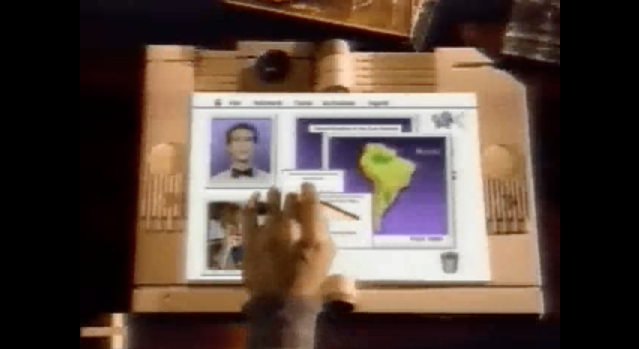 See, back in 1987, Apple made this weird little video, a sort of Concept Car for their vision of computing. Knowledge Navigator wasn’t a product. It wasn’t an ad. Most people outside Apple probably never heard of it at the time. But it’s obviously been lurking close behind Apple’s overall vision for decades. Look at this ad they just released, for Siri on iPhone. Welcome to the future, Apple style. It’s right on schedule. This entry was posted in futurist by Dan Efran. Bookmark the permalink.